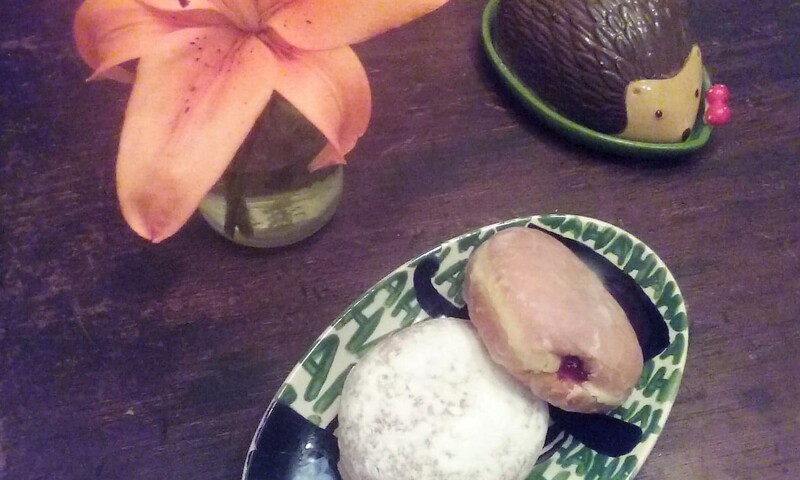 Sufganiyot: What Are They and Where Can I Find Them in the DMV? 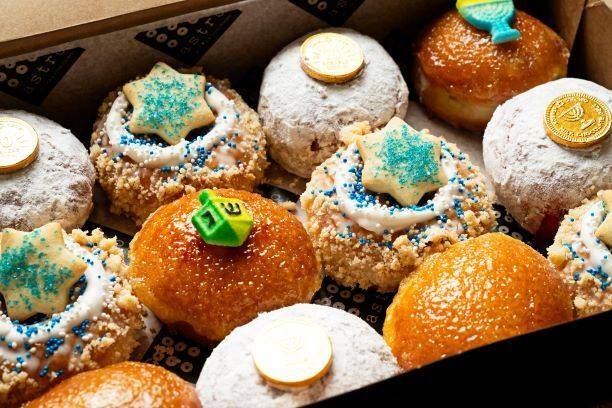 Celebrate Hanukkah this year with sweet, jelly-filled sufganiyot! These fried doughnuts are the traditional food for the holiday and can be found all over the DMV. Pre-order now to make sure you get some! 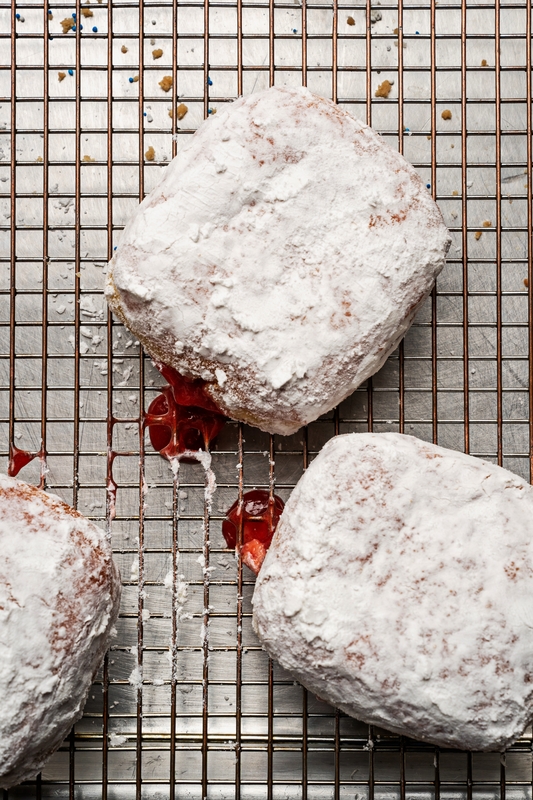 A jelly doughnut is not just a jelly doughnut. 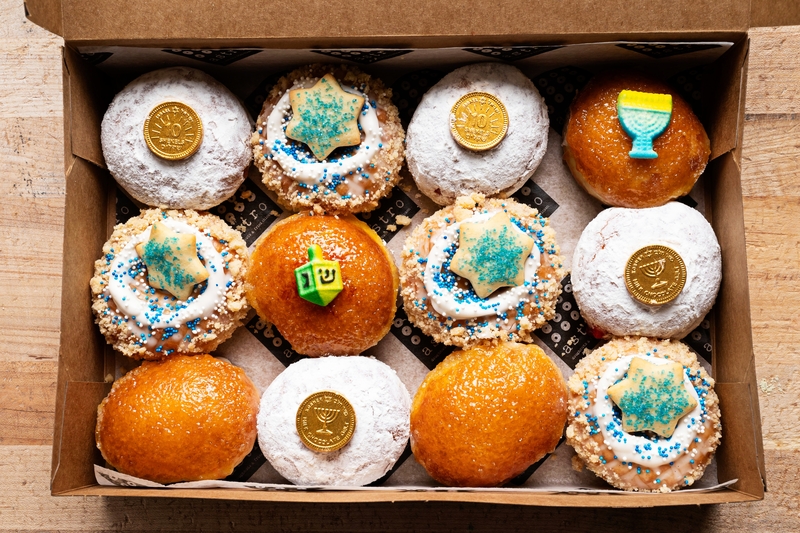 At Hanukkah time, it's a sufganiyot! This Jewish delicacy is fried in oil to commemorate the miracle of the Temple oil each holiday season. While you can certainly make do with a box of Krispy Kremes, purists will seek out finer, scratch doughnuts or make their own. Here are several options for you, at all different price points. This is where EVERYONE will send you for the most authentic, kosher sufganiyot. Their pre-order system has been up for weeks now, and you need to get yours in if you want to try them this year. They are very specific about order quantities on certain days, and walk-in purchases are first come-first served. 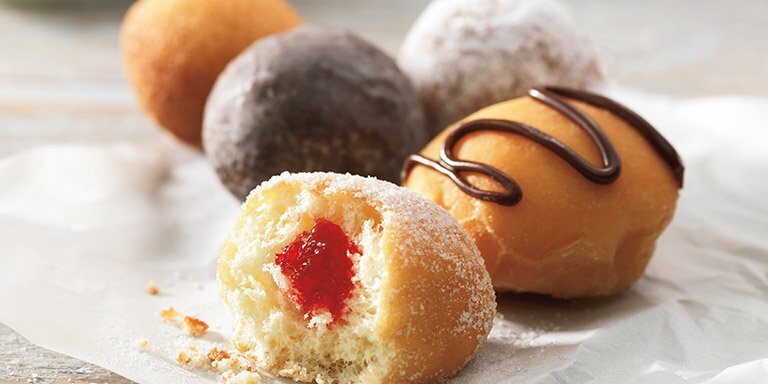 Individual doughnuts are $2.50 each, with classic jelly-filled, chocolate, vanilla custard, or caramel. Bonus: If you pay in cash, you get a 13th doughnut free when you purchase 12! Astro Doughnuts & Fried Chicken | 7611 Leesburg Pike in Falls Church, VA, or 1308 G Street NW in Washington, D.C.
A local favorite, Astro has gotten fancy with their Hanukkah treats. Their sufganiyot are traditional jelly-filled, creme brulee-filled, or topped with decorated cookies. Individual sufganiyot will be $3.50, and a box of minis will include four jelly-filled, four creme brulee-filled, and for cookie doughnuts for $24. To place an order, visit the Astro website. Sugar Shack | Multiple locations in VA; one in D.C. 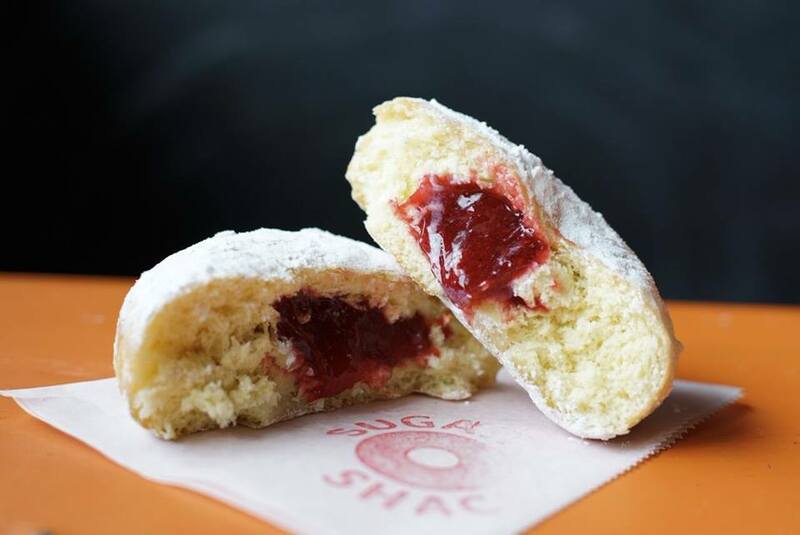 The original Sugar Shack in Richmond, VA, is now all over the state, with one location in D.C. To pre-order your doughnuts, choose your location and call in your order. 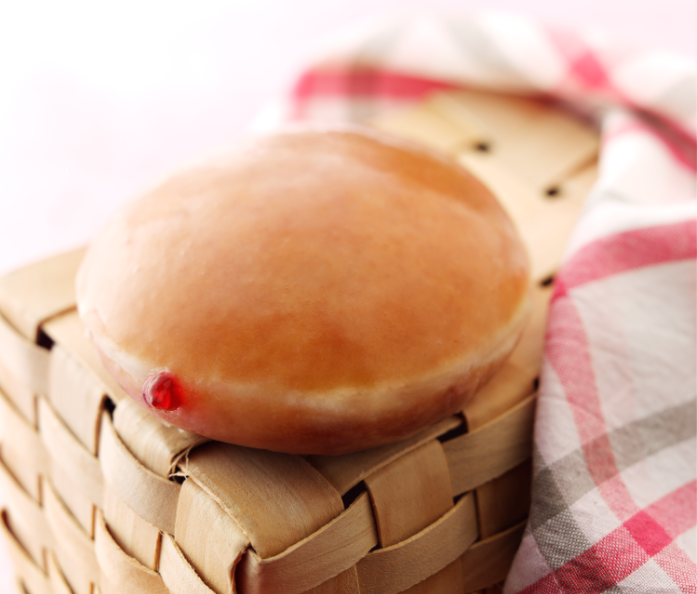 They will have traditional jelly-filled and additional custard varieties. You may want to sneak in some of their other yummy flavors like Vanilla Coconut and Red Velvet! If you're not sure what to bring to a Hanukkah function, you can't really go wrong with a box of jelly or mixed Munchkins. These bite-sized treats will definitely be appreciated! Find the closest Dunkin' Donuts location near you using the store locator. Anyone who has been hypnotized by the "hot" sign knows just how delicious KK doughnuts are. A box of their jelly-filled will be welcome wherever you go. Visit the Krispy Kreme website to find a location near you. In a pinch, you can swing by your local Safeway for full-sized doughnuts. At just 69 cents each, you can get a variety of flavors including lemon cream! Do you have a good local source for sufganiyot? Do you have a favorite recipe for making your own? Let us know in the comments below! Next time you go to Potbelly, try out these secret menu items!